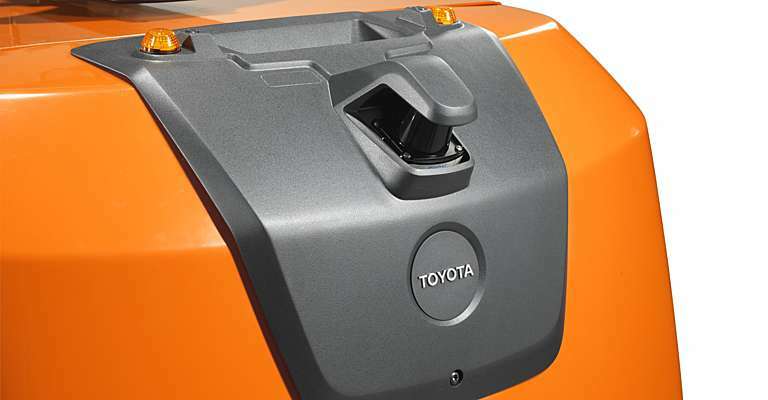 Toyota have launched two order picking trucks equipped with the remote drive feature t-mote to help increase productivity in picking processes, improve ergonomics by reducing operators’ fatigue and contribute to a safer work environment. Order picking is a labour-intensive process. 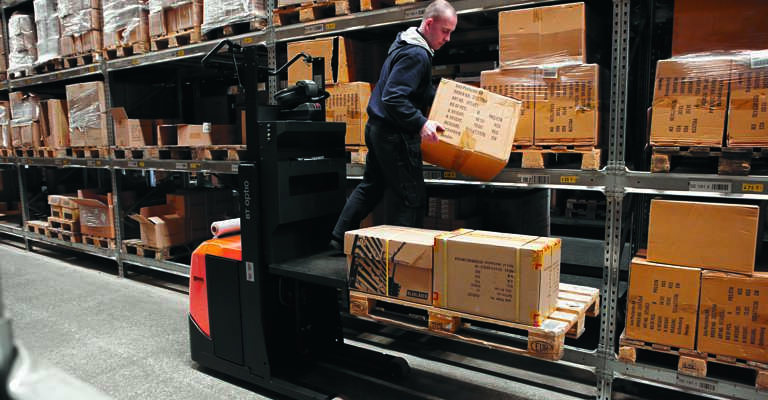 Operators of traditional order picker trucks are frequently stepping on and off their trucks in order to pick goods and to move their trucks to the next picking location. This is a repetitive and time-consuming activity for the operator. 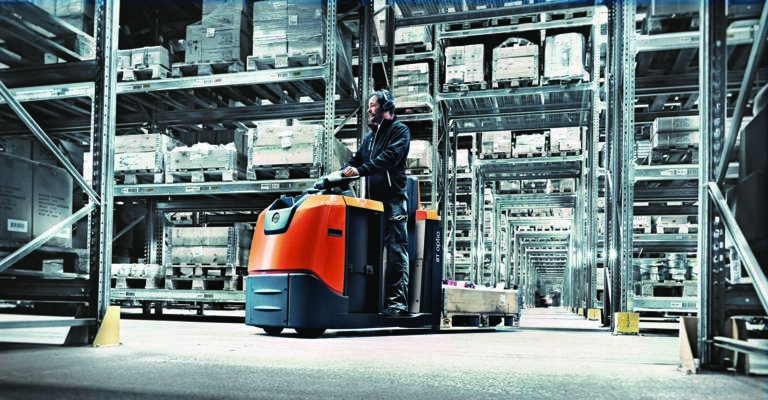 The BT Optio OSE250 order picking truck and OSE250P order picking truck with operator platform featuring t-mote remote drive feature improves safety and increases productivity. Using a small finger operated remote control; the remote drive function allows the operator to advance the truck forward without having to ride on it. 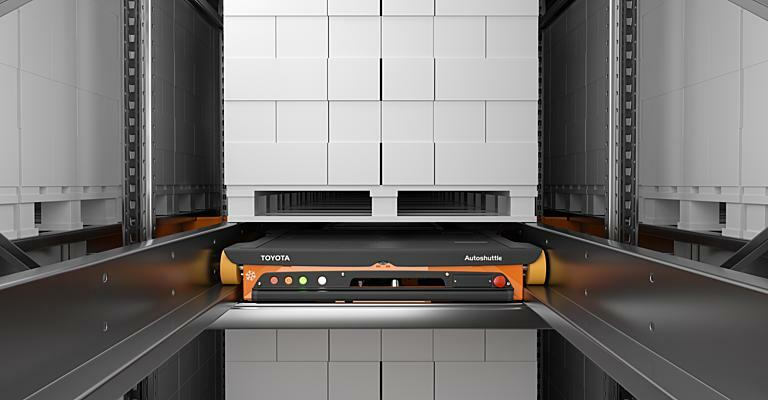 This allows the operator to walk alongside it and pick goods from the racking to a load carrier, reducing the need for an operator to repetitively step on and off the truck. The remote drive concept shortens the time a working cycle takes, which in turn increases the picking productivity of operators and creates a smoother picking flow. 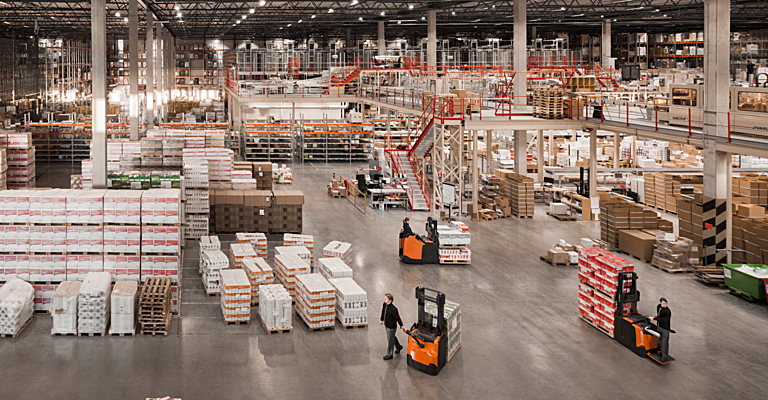 When compared to a manually operated order picking truck, use of remote drive trucks can show an increase of up to 20% in productivity gains for identical picking cycles. The truck is also fitted with safety scanners which detect objects up to 1m in front of the truck and cause it to stop automatically or adjust its path to prevent collisions. In remote mode, the truck moves at a speed of 4 km/h and a warning light flashes to warn bystanders of the truck’s movement. Jon Buckley, Commercial Director said “We understand that businesses are constantly looking to increase productivity and efficiency in their order picking processes. By developing a machine which offers flexible, safe and efficient order picking, we are displaying our commitment to developing and delivering products which will deliver our customers increased gains in efficiency and productivity”. To find out more information about the BT Optio OSE250 order pickers with t-mote please call 0370 850 1409.